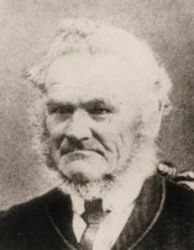 Robert Septimus Fayers was born about 1808. Robert, married Charlotte Atkinson, in England . [S51] Charlotte Atkinson nee Fayers & William (Dobbin) Gray Memorial plaque, unknown repository, unknown repository address. Charlotte, married Robert Septimus Fayers, in England . He died on Sunday, 16 June 1895, in Victor Harbor, South Australia . She died in 1875, in Victor Harbor, South Australia .